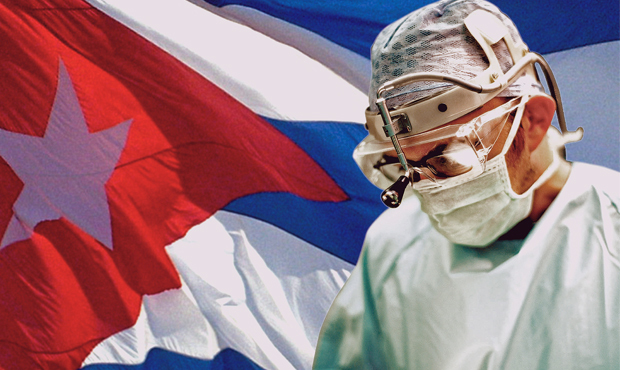 Jeovany Jimenez Vega, 14 September 2015 — Speaking of rumors — it’s been going around for months, but nothing official has yet been said about it — there is a rumor that the Ministry of Public Health will increase the monthly salary of doctors in Cuba to 5,000 Cuban pesos (equivalent to a little more than $200 US). This would be very good news, but on the island things are seldom what they seem, and according to what is rumored it could also be a rotten deal: to receive this salary the worker will have a sign a contract — which apparently will not be elective — in which he or she commits to not traveling outside of Cuba during the following five years, or perhaps ten years according to other versions. And it is also said that in the eastern provinces this document has already been presented to the workers. If this is true, it would be sheer nonsense to subordinate this salary to something that has no relation to our healthcare performance. Like in every contract, the one allegedly being proposed would clearly establish working days and hours, it would fix the rules of discipline and standards in relation to employer/employee and also recognize the rights to our twice-yearly two-week paid vacations, but at this point the powers of the administration would stop. What we decide to do with our free time is outside the administrative jurisdiction of the center and its ministry, it is something completely personal is not for anyone else to make these choices. Then, if it is clear that this is an unrelated matter, it would be absurd to make such a requirement. Of the recent measures announced by the newspaper Granma, theoretically we can infer that the Ministry of Public Health (MINSAP) has become aware, although very late, of the severity of the health care situation in the country, but conditioning a salary as deserved as it is long postponed on something so personal and alien to our work as what we do in our free time, would be a misplaced imprudence. Such an attitude from our ministry would show that at bottom, nothing has changed. 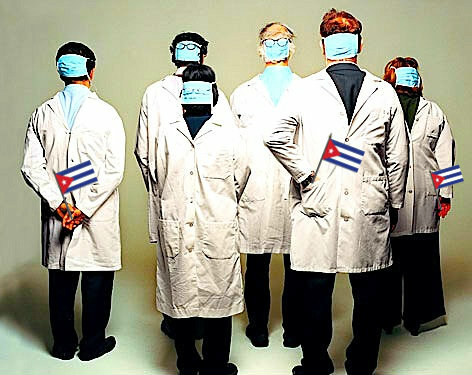 This posture greatly tarnishes the intended spirit of reconciliation of the new proposed policy, and belies the alleged “good intentions” of the Cuban authorities towards those healthcare professionals who choise to remain in Cuba or who want to return after working for a short time abroad. Behind such conditionality one can see the gleam in the eye of the tiger, the always authoritarian gesture, the same despotism, in another disguise and other trappings, but in the end the very same despotism as always. Could it be that so much time of impositions blinded that forever, that pride will end up annulling judgment? Can they no longer do anything truly clean? Will they ultimately be incapable of sincere propositions and everything will be left, one more time, in an opportunistic simulation, in a perpetual dissimulation. Of course, signing or not signing such a contract would be a matter that each one has the full right to accept or not according to their personal decision, but these professionals should know that once they sign it, this document would place them in an unjust position of subordination and would be a legal yoke in the hands of the administration, which will undoubtedly use it without hesitation when the time comes to justify future arbitrariness. Personally, I never would sign it. It is not a question of wanting or not wanting to travel outside Cuba tomorrow, it is that here there is a principal much more elemental: that is the right to choose to do so or not always belongs only to me. So it is a simple matter. Jeovany Jimenez Vega, 2 September 2015 — Several weeks ago it was rumored that the Ministry of Public Health of Cuba (MINSAP) has prepared a series of measures for the benefit of its professionals. Viewed as a whole, these proposals could be seen as a countermand to that other policy from several months ago of widespread reprisals, within the island and throughout the network, which amounted to a stupid and unrealistic frontal assault against those who decided to leave the country for individual contracts that were not part of any official medical mission. Certainly the previous “circular” from the minister bet heavily on the hardline to discourage individual medical recruitment abroad by all possible means: he began ordering the disqualification of all those working in the sector who left without authorization from MINSAP to work abroad on their own; he shamelessly applied pressure on other governments, including through diplomatic channels, to prevent individual contracting; he even ordered punishment of those who decide to return to work in Cuba after working abroad, including the immediate withdrawal of their passport at Customs (as an official collaborator) upon returning to Cuba, among other crimes previously analyzed in my blog Citizen Zero. But this time other rumors—again nothing published officially—brought a more conciliatory breeze from the island. Apparently someone more clear-thinking and realistic, or simply more pragmatic, had to point out that the previous measures would have little practical value, high political cost, and would ultimately only succeed in discouraging the potential return of professionals who had never decided to live permanently away from Cuba. As for being disqualifed from practicing on the island: how could being deprived of a salary of $60.00 a month matter to someone who returns to Cuba with tens of thousands of dollars? Prohibiting this professional from practicing in Cuba would be ludicrous, particularly at a time when the Cuban government is advertising openings because, after all, in practical terms, where will they spend their money when they get back but in Cuba? Who would be most affected in this fight: the reluctant Ministry quite pressed for professionals, or the worker who could wait for years with all the patience in the world, without any urgency, for the Minister’s replacement? Almost every time the olive-green dictators have chosen one of the many measures directed against the welfare and prosperity of my people they have done so through a recognizable modus operandi: they ordered their army of neighborhood informers to put out trial balloons and then return to their masters with the views they heard about how the future crime would be perceived by public opinion, to thereby forecast the reaction that would follow once the edict in question was implemented. Now it will be much harder to dissuade a professional who in the first month of work abroad has received remuneration significantly greater than that received in ten whole years of work in Cuba. Hopefully there will be some good news, but due to the long-proven track record of the Cuban government in spreading rumors—it has now become one of their favorite hobbies—I once again frankly doubt it.